WASHINGTON, DC – Consumers Union, the policy and advocacy division of Consumer Reports, is urging regulators and lawmakers alike to take action to improve the safety of ground turkey, and to stem the growing problem of antibiotic resistant bacteria in our food supply. Consumers Union today sent a letter to the Food and Drug Administration (FDA) calling for regulatory action to stop the growth of these antibiotic resistant “superbugs.” The group also sent a letter to the Department of Agriculture (USDA), urging the agency to make several changes to its food safety regulations in order to better protect consumers. “The declining effectiveness of antibiotics has become a national health crisis,” said Ami Gadhia, senior policy counsel for Consumers Union. “Approximately 80 percent of antibiotics sold in the United States are used in livestock production, often times on healthy animals. The use of antibiotics in livestock needs to be curbed so that consumers aren’t threatened by these superbugs that can’t be treated.” The policy requests were prompted by recent findings of a newConsumer Reports study of bacteria and antibiotic resistance in ground turkey and previous government findings. Consumers Union is also asking members of Congress to support legislation that would address these issues. Consumers Union has endorsed Representative Louise Slaughter’s (D-NY) Preservation of Antibiotics for Medical Treatment Act (PAMTA) as a solution to end the routine use of antibiotics on healthy animals and curb the growing threat of superbugs. CU also supports the Delivering Antimicrobial Transparency in Animals (DATA) Act introduced by Rep. Henry Waxman (D-Calif.), which would require better reporting by industry regarding which antibiotics are being given to animals and for what purpose. Senators Feinstein (D-CA) and Gillibrand (D-NY) previously introduced separate bills addressing these issues and hope to reintroduce legislation to combat the overuse of antibiotics in food production and significantly tighten the safety standards for meat and poultry. 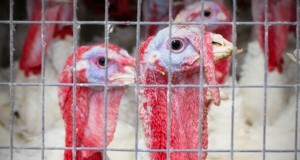 Consumer Reports found widespread antibiotic resistance in bacteria in ground turkey. The analysis tested ground turkey for salmonella, staphylococcus aureus, generic e. coli, campylobacter and enterococcus, and found bacteria in 90 percent of the 257 samples tested. More than 90 percent of those bacteria were resistant to at least one class of antibiotic, and more than half were resistant to three or more classes of antibiotics. The complete report and analysis can be found in the June 2013 issue of Consumer Reports and online at www.ConsumerReports.org. Full copies of the letters sent to FDA and USDA are available athttp://www.consumersunion.org/research-policies/.